Just since Friday: the Maoist train attack in West Bengal, the Ahmedi massacre in Lahore the same day, and today, just as we’re getting our breaths back, the Israeli attack on the Freedom Flotilla bringing relief goods and humanitarian aid to Gaza – some 20 killed, several injured. Israel has reportedly arrested all the 700 activists on the boats, incl.1976 Nobel Peace Prize laureate Mairead Corrigan of Ireland, European legislators and a Holocaust survivor. “Only a crazy government that has lost all restraint and all connection to reality could something like that – consider ships carrying humanitarian aid and peace activists from around the world as an enemy and send massive military force to international waters to attack them, shoot and kill. “No one in the world will believe the lies and excuses which the government and army spokesmen come up with,” said former Knesset member Uri Avnery of the Gush Shalom movement. Gush Shalom activists together with activists of other organizations are to depart at 11:00 from Tel Aviv to protest in front of the prepared detention facility where the international peace activists will be brought. 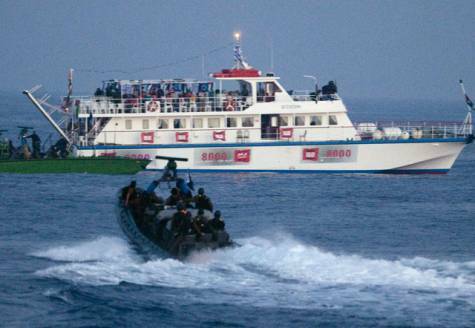 Greta Berlin, the spokeswoman for the flotilla organizers located in Cyprus, told Gush Shalom activists that the Israeli commandos landed by helicopter on the boats and immediately opened fire. This is a day of disgrace to the State of Israel, a day of anxiety in which we discover that our future was entrusted to a bunch of trigger-happy people without any responsibility. This day is a day of disgrace and madness and stupidity without limit, the day the Israeli government took care to blacken the name of the country in the world, adding convincing evidence of aggressiveness and brutality to Israel’s already bad international image, discouraging and distancing the few remaining friends. Indeed, today a provocation took place off the coast of Gaza – but the provocateurs were not the peace activists invited by the Palestinians and seeking to reach Gaza. The provocation was carried out by Navy ships commandos at the bidding of the Israeli government, blocking the way of the aid boats and using deadly force. It is time to lift the siege on the Gaza Strip, which causes severe suffering to its residents. Today the Israeli government ripped the mask of its face with its own hands and exposed the fact that Israel did not “disengage” from Gaza. Real disengagement from the area does not go together with blocking the access to it or sending soldiers to shoot and kill and wound those who try to get there. The State of Israel promised in the Oslo Accords 17 years ago to enable and encourage the establishment of a deep water port in Gaza, through which Palestinians could import and export freely to develop their economy. It’s time to realize this commitment and open the Port of Gaza. Only after the Gaza port will be open to free and undisturbed movement, just like the Ashdod and Haifa ports, will Israel really have disengaged from the Gaza Strip. Until then, the world will continue – and rightly so – to consider the Gaza Strip under Israeli occupation and the State of Israel as responsible for the fate of the people living there. Sorry, dear, it looked to me like a god-sent drama for the Paky media to divert attention from the massacre of Ahmadies in their Lahore mosques. 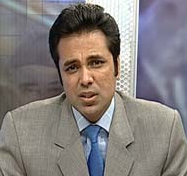 I wonder at Talat, why he got into that drama the end of which was quite expected. I would suggest to you to please see if you can provide a ‘review and edit’ option for the commentators, as they do in ‘chowk.com’, especially for the people like me. Thank you! There was a typing mistake in the first line of my comment recorded for the first time which I noticed after submission. Since I could not correct it I had no alternative but to repeat it. You have I see deleted that comment with typos any how being a repetition. In Chowk and even, facebook, one can do with one’s blog whatever one likes at any time. I don’t know how they manage it as my knowledge of computering is what I could learn only from my grandchildren. No problem. I usually correct typos before approving comments. Its easy (though wrongly) to label an incident such as this as “piracy” just because it was symbolic with the high seas. These are not a bunch of crazy Somali pirates, who had a swipe at many merchant vessels in the Indian Ocean and also did not spare a US navy destroyer. These are Israeli commandos on national duty. I don’t understand why the rest of the world has to wait to see US’s position on this atrocity, triggered off by the Israeli government itself. This is an international crime and should to be dealt by the international court of justice swiftly. I believe that this barbaric Israeli act in international waters was probably intended to test the waters for something more sinister up its sleeve. If it gets away with this one, then it knows that it can get away with anything, in the future. As a drop scene of that drama Talat has come home safe and sound (Khaeir se budhu ghar ko aaey) from the clutches of what they call ‘barbarians’ and here in our Lahore, after massacring about a hundred poor Ahmadis, the so called ‘Mujahideen’ attacked a hospital killing a dozen people. Are we not more than self-sufficient in barbarism? Why should one go all the way to the Mediterranean to challenge with a media stunt the blockade by Israel who live like us among the peoples who know no mercy for the weak either. For them it is an existential struggle and not a media stunt. Are we not facing like them the existential threat by the religious terrorists more brutal than the Arabs?